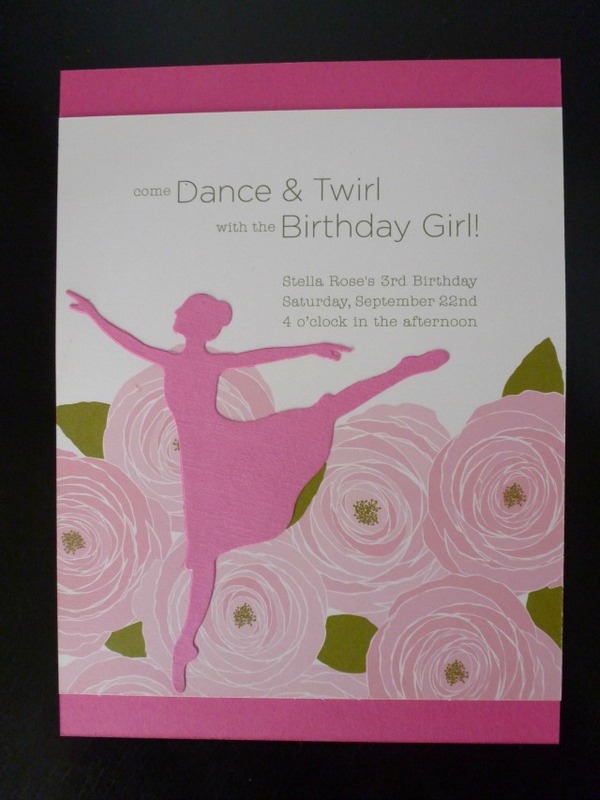 My daughter Stella celebrated her 3rd birthday by twirling around our living room in her tutu during her ballerina party! 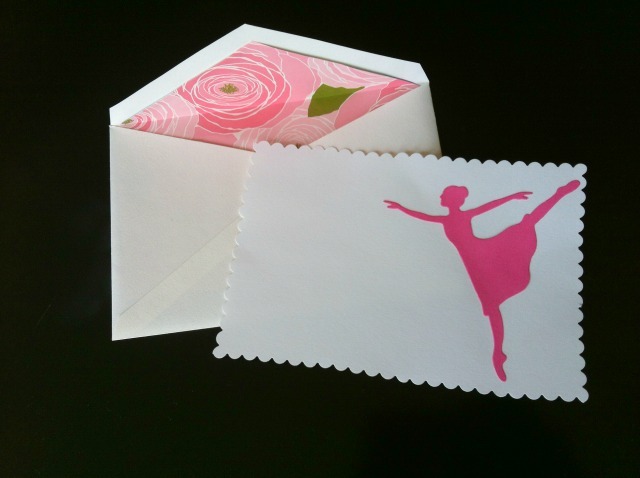 The party invites and thank you notes were a fun DIY project using rose patterned paper from Snow and Graham and ballerina paper cutouts from Etsy seller DieCuts4U. 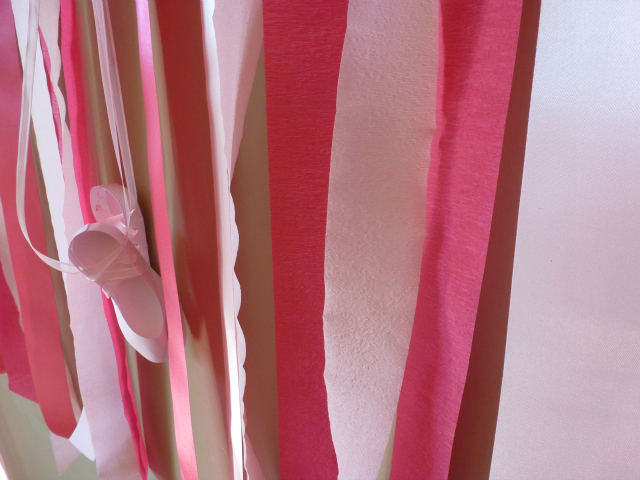 The ribbon wall was as simple as stapling a mix of ribbons and crepe paper to some twine. 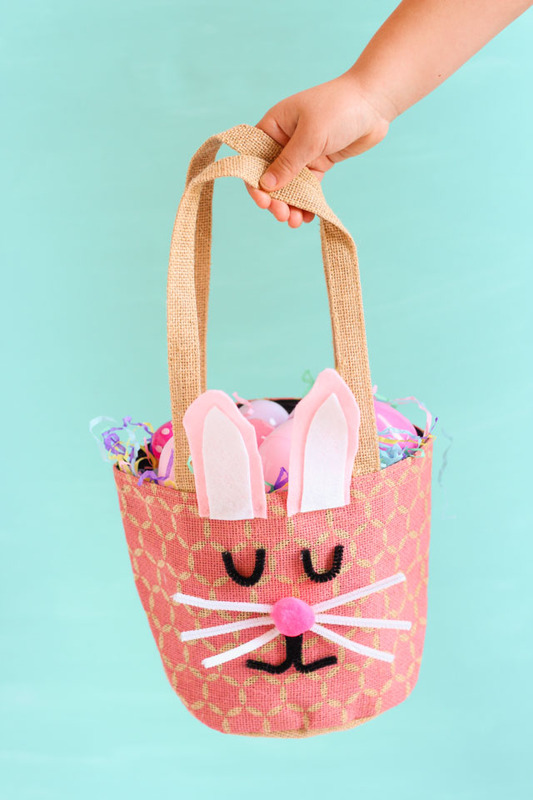 Here is a full tutorial in case you want to make your own! 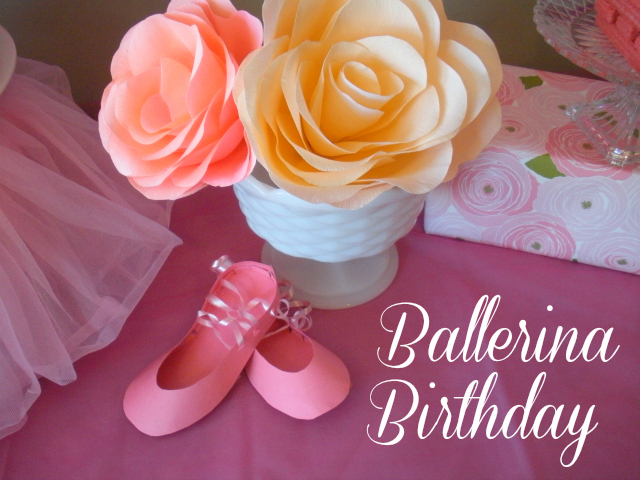 The ballet slippers were made from a paper template by Etsy seller Piggy Bank Parties. They turned out so cute but are definitely time consuming to make (it took me a good 30 minutes of cutting and taping per pair). So if you plan on making these, please don’t try to make them the day of the party! These crepe paper flowers were also time consuming (about an hour a piece), but I had a lot of fun making them and they turned out gorgeous! 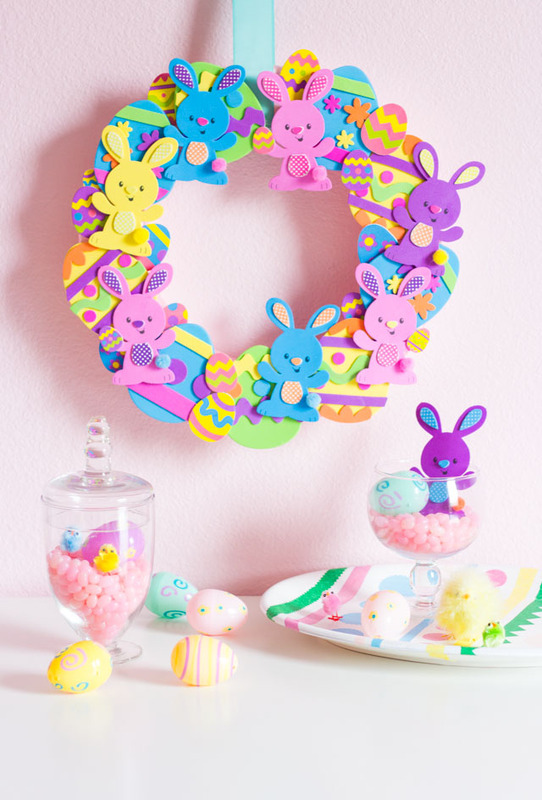 The best part is Stella can have them as keepsakes for a long time. Stella’s middle name is Rose (as is mine! 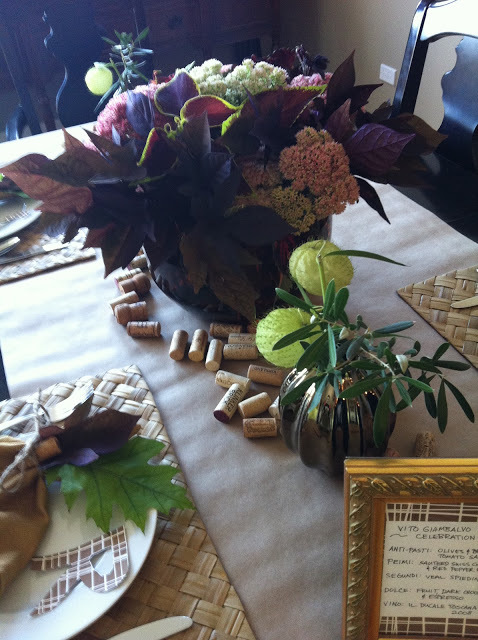 ), so incorporating the roses into the party gave it a little personal touch. 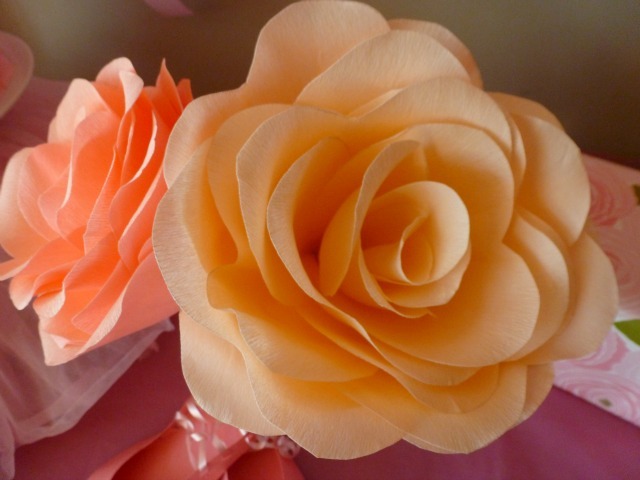 Here is my step-by-step paper flower tutorial. I made Stella a homemade angel food cake with buttercream frosting (a birthday tradition passed down from my grandmother). 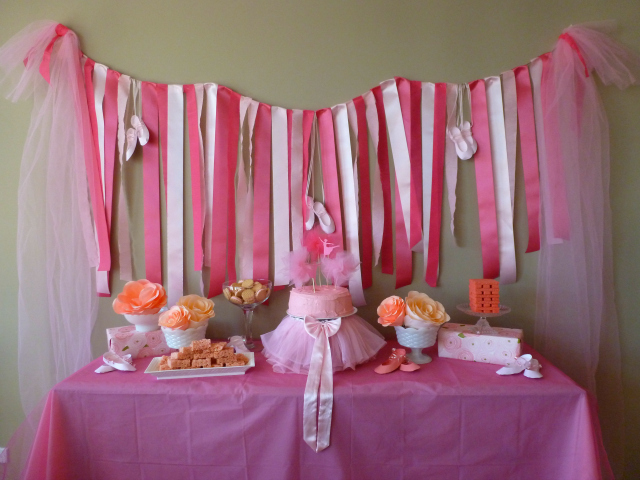 The cake was topped with a couple of the ballerina paper cutouts and a few pom-poms I made from tuile. 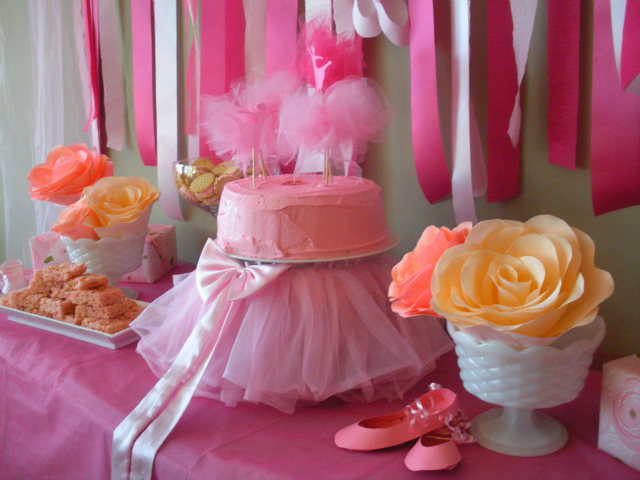 The tutu cake stand was actually a big kitchen pot overturned and covered with one of Stella’s tutus! 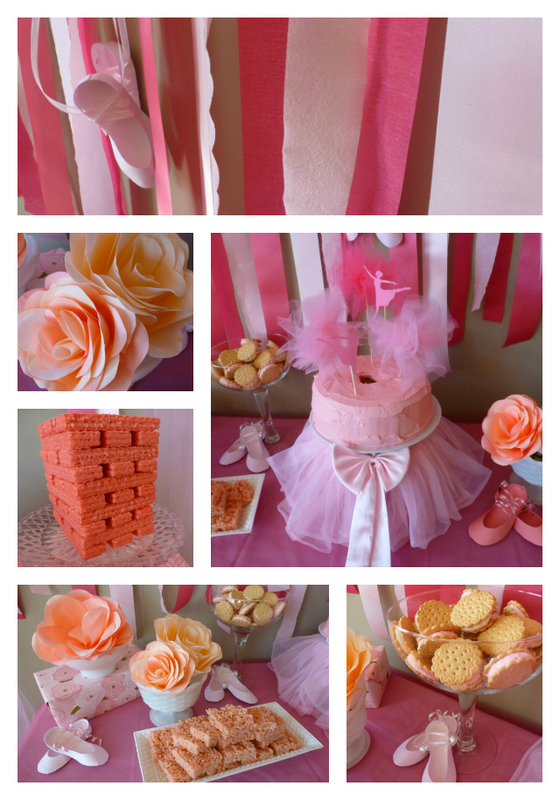 Click here for how to make the ballerina cake and tulle pom-poms. 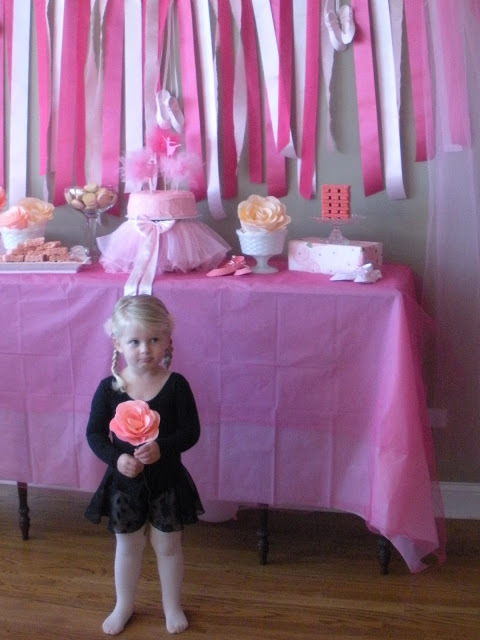 Stella contributed her own DIY projects to our party decor (she is quite the crafty lady herself!) 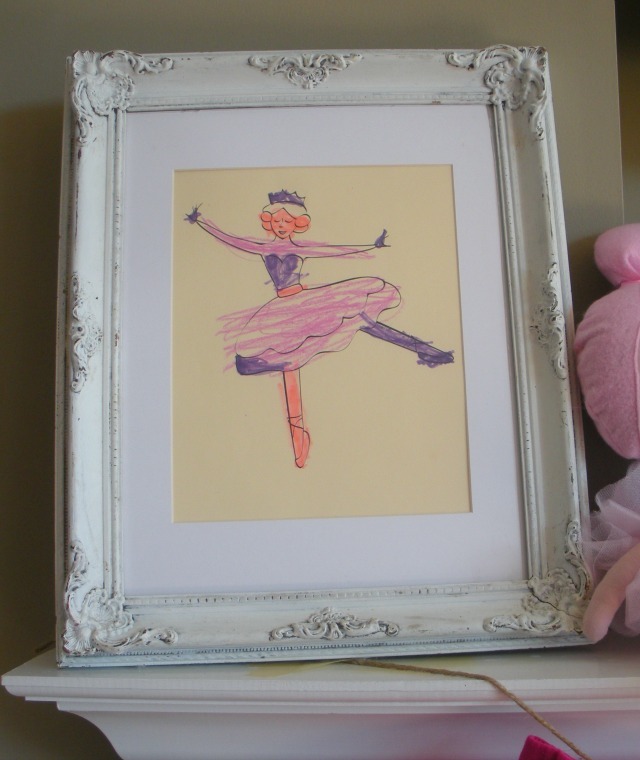 with these ballerina colorings. 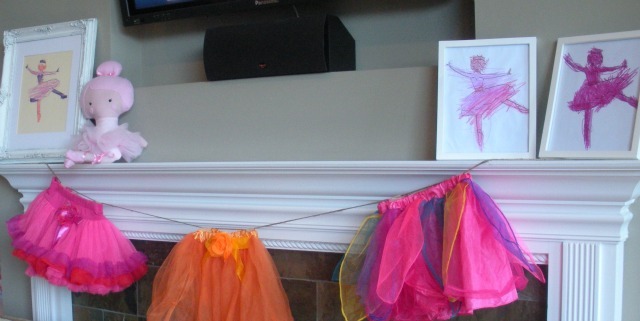 I framed them and put on the mantel along with some of her tutus. Finally, the little ballerina herself. She had quite the day! 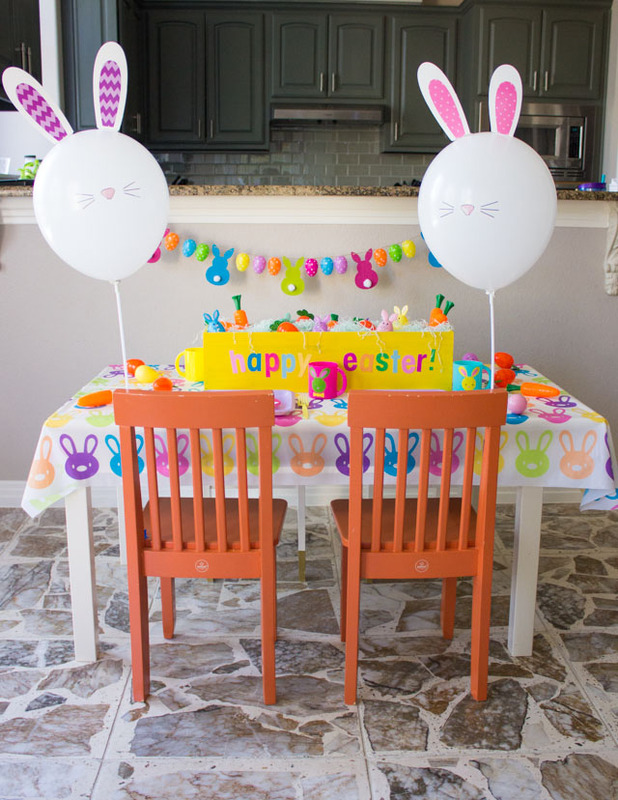 I’ve been on a party planning kick lately – you can check out my other parties here!